Phonica: Eight will feature performances from a range of award-winning writers, musicians and artists based in Ireland and internationally. The evening will feature a polyphonic stage adaptation of a digital novella (an Irish premiere), a poetic collaboration set in rural Poland, a three-way musical collaboration based on Samuel Beckett’s ‘Neither’ and a song cycle for solo violin and voice, among more. Alex Bonney, Diamanda LaBerge Dramm, Benjamin Dwyer with Jonathan Creasy & Nick Roth, SJ Fowler, Alice Lyons & Justyn Hunia, Joanna Walsh + community performers. Patrons, please be advised this show contains the possibility of strong language. Phonica is a series of events rooted in Word and Sound and with an emphasis on multiformity and the experimental. Conceived, programmed and hosted since early 2016 by Christodoulos Makris and Olesya Zdorovetska, Phonica aims to explore compositional and performative ideas and to encourage a melting pot of audiences and artists from across artforms. 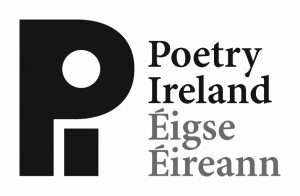 Phonica acknowledges generous funding support from Dublin City Council, Poetry Ireland, and Arts Council England.